Particular Painting is Australian premier commercial painting contractor with years of experience in providing a complete painting maintenance solutions to broad range of industries. Our painters work hours to suit your project and lifestyle and we are fully insured for your security and guarantee! One of the most trusted painting and decorating groups in NSW, We pride ourselves on the quality and affordability of our painting services. We offer a wide range of painting services in NSW. Our painting services include painting new and old buildings from private houses and town houses to apartment buildings and also painting commercial building and offices. 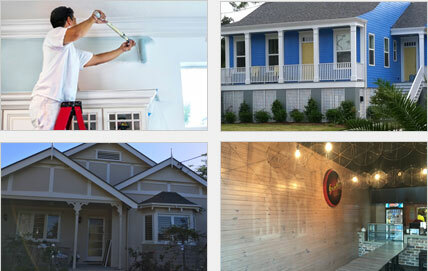 Particular Painting guarantees quality painting job, competitive prices and customer satisfaction. Particular Painting has skilled and professional tradesmen that are ready to take on any painting project no matter what size. Our painters work hours to suit your project and lifestyle and we are fully insured for your security and guarantee! We are the Painters you can trust!